Now, protect your hair from the summer heat by following 6 useful haircare tips. This season, flaunt your healthy hair in style! 1. Shield your hair from the sun: Constant exposure to UV rays of the sun during summers can dry out your hair and rough up the otherwise smooth cuticle of the hair shaft making them look dull and lifeless. Shield your tresses from the sun by applying a hair care product that contains UV filters, be it in the form of spray, cream or gel formula. These products not only prevent your strands from sun damage but also keeps your hair color from fading off. Sunflower oil is an all natural UV protectant which is also an emollient that adds softness to your hair. 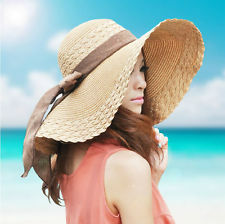 Better still, cover your hair with a wide brimmed hat or scarf, especially if you intend to stay outdoor a longer time. 2. Deep condition: Keep summer hair woes like dryness, frizz and split ends at bay by including deep conditioning treatments in your hair care regimen during summers. We all tend to wash our hair more often, sometimes even on a daily basis during summers to get rid of the oil build up caused by sweating. 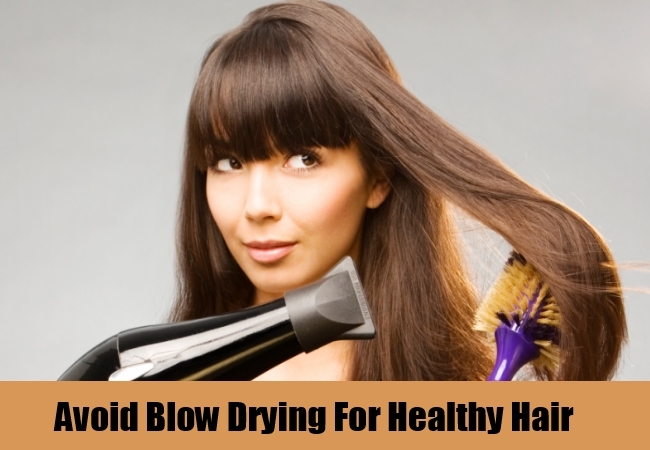 But this frequent wash can strip your hair of nutrients leaving them dry and parched. So it becomes imperative that you go for a good conditioner after every wash for that extra bit of hydration. Or you could skip using a shampoo altogether and directly apply conditioner to wet hair, rinse out and follow with a leave-in conditioner. For those of you who like to go all natural, here is a homemade hair conditioner for summer. Blend together a ripe banana, 2 tbsp each of honey and olive oil in a blender to make a smooth paste. Now apply it on your hair and leave it on for about half an hour. 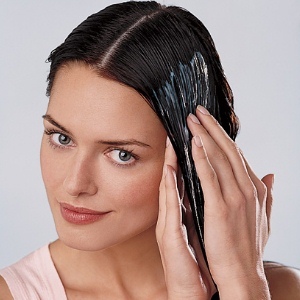 Rinse thoroughly with water to get silky, shiny hair. 3. Say no to heat: Steer clear of all styling tools like blow dryers, straightening irons and curling tongs. Scorching heat can damage the proteins that make up your hair and its protective cuticle and these hot tools can make them even more vulnerable to breakage. Instead, make good use of the heat in the air to air dry your hair into soft messy waves. Or if you must use them, limit it to only once or twice a week. And make sure you use them on the coolest setting. 4. 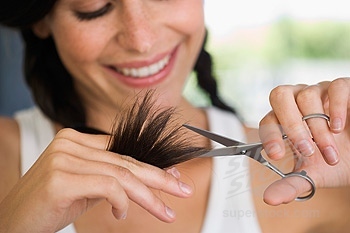 Frequent trims: Go for frequent trims during the summer months to get rid of split ends and damaged hair for a healthier looking mane. Chop your tresses into a cool short pixie which is a rage with all the Hollywood divas this summer. No fuss, easy to maintain, this haircut is just so perfect for this tropical weather. 5. Prep before a swim: Frequent exposure to chlorinated swimming pools during summers can also have a detrimental effect on your hair. You can often end up with mean green hair. And it gets even worse for men and women with shades of natural or colored blonde as blonde hair are even more prone to chlorine damage and discoloration. But a quick and simple tip can come to your rescue. Soak your hair in water just before you take the plunge. This way your hair would already be saturated in water to absorb any more harsh chemicals from the pool. You could also go for a leave in conditioner to provide that extra bit of protection. Rinsing your hair, right after the dip is also a good idea as it keeps any impurities from settling on your scalp. 6. Outwit frizz: Summer air is laden with moisture which makes hair prone to frizzing. A drop or two of anti-frizz serum can take care of this issue making your hair smoother and shinier. Argon oil is also known to be a frizz fighter. But make sure you use only a teeny weeny bit of it or else it’ll weigh your hair down. Or go for a high ponytail or a high bun or even a side braid and just forget about the frizz.